There are currently 93,756 users on this website. 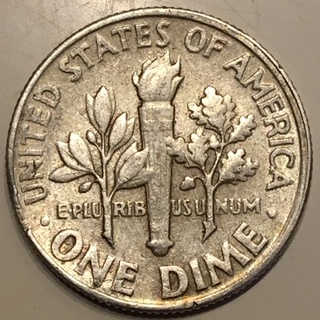 I have quite a few silver dimes and this one kinda stuck out. 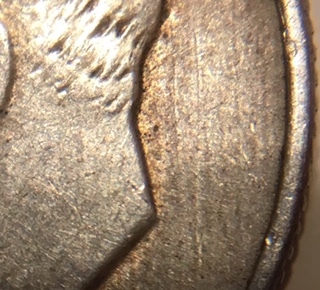 This is a 1964 P silver dime and am baffled as to what caused this. Roller marks? Die abrasion? Insight needed please. It will be the first one with straight line toning if that's what it is. The biggest question I have is, what caused the raised lines? 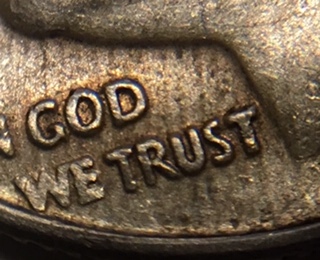 The toning pattern just reflects the surface that the coin was resting on while the toning happened. The raised lines would be die scratches/abrasions. Just happenstance that the toning and die disturbance follow in the same general direction. 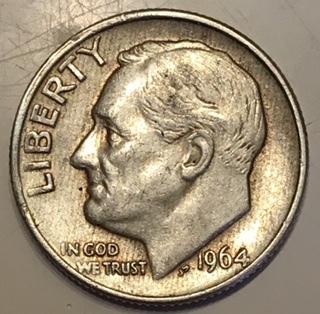 I am thinking that a fingerprint has caused this and the toning to happen. Dang! I was hoping someone would have said this was a prototype Die! 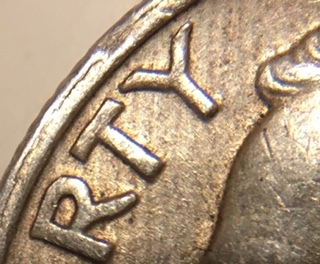 I can see that it is toning to a degree but I don't think it was from a fingerprint, the lines are too straight and there are raised lines where the toning has taken place. Think I'll soak it and see what's underneath. I don't think it's from a fingerprint either. Looks like toning that happens to be an unusual pattern. Might be for being stored in a canvas bag. $1000 90% silver coin bags were a hot item back in 1979.